Dr. Neil McLeod, B.D.S.(Lond. ), L.D.S.R.C.S.(Eng. ), D.D.S. I fully endorse Dr. McLeod. He is a consummate professional and a fantastic prosthodontist. He represents the best of our profession and is a true gentleman to top it off. Dr. McLeod possesses one of the most generous and magnanimous personalities that I have had the pleasure of coming across. He is full of energy and life. 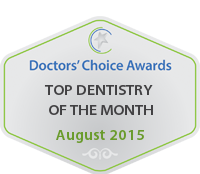 He is honest, has integrity and is passionate about providing a high level of dental care. He is an exceptional individual. Dr. McLeod is one of the finest dentists in the Los Angeles and Beverly Hills area. He is well respected by his peers and patients. 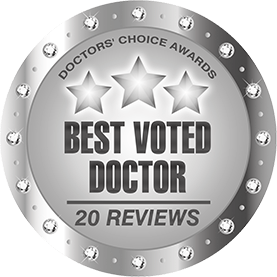 Dr. McLeod\\\’s excellent clinical skills combined with good bedside manner and humor make him a pleasure to collaborate with. I highly endorse Dr. Neil McLeaod! Dr. McLeod is an excellent dental practitioner. His excellence is driven by his talent, his caring to his patients, his determination and efforts to deliver the best, and by his honesty and integrity. I’m proud to be his colleague and a friend. I have known Dr. McLeod for close to 20 years and he is a caring practitioner who always strives for excellence for his patients. I have the utmost respect for Neil as a dentist and a fellow professional. I have been privileged to know and work with Dr. Mcleod since 1978. Throughout this time he has shown himself to be a unique dental professional who always has his patient’s best interest in mind, providing with the utmost care the treatment that they require. It is an honor for me to be his colleague. SINCERE CARE, DEDICATION AND ARTISTRY AT ITS BEST. Dr. McLeod is a great talent and a true artist and master of his craft. He cares about his patients well being first and foremost and never tries to be to pushy with his ideas. He has created a very relaxing and private environment which would make any client very comfortable. His staff is top of the line and very pleasant at all times. I can say it\’s \’almost\’ a joy to go to the dentist!!! Dr. McLeod is an excellent Dentist and Professional. We have worked together on many patients over the years and the outcomes have been of the highest quality. He was trained at the University of Southern California School of Dentistry and stays up-to-date by participating in continuing educations courses, as well as being an active member and lecturer in the Pacific Coast Academy of Prosthodontists. We are both members of the Beverly Hills Academy of Dentistry where he is currently President, and a leader in Information Technology in Dentistry. I highly recommend Dr. McLeod to my patients. During my 26 years of professional career as an endodontist, I\’ve worked very closely with more than 90 top dentists in southern California and the world. I respect, admire and endorse Neil and his masterful, artful and skillful dentistry to the point that I have selected him to be my own very dentist. He\’s truly is a dentists\’ dentist. As his colleague of 25 years, and as a faculty in UCLA school of dentistry and a member of Los Angeles dental society peer review section, I consider Dr. Mcleod as an exceptional dentist with most skilled hands, brightest mind, a gold heart and clearest conscious. Aside from his being a fantastic dentist, I sincerely believe that our world would be a far better place if we had more Neil Mcleods. I feel blessed and honored to have him as a colleague. I have known him for more than 25 years. He is thoughtful, clever and strives for perfection. I have seen his work and it is very good. He cares about and tries to do the very best for his patients. I endorse Dr. Neil McLeod and find myself in agreement with him. Dr. McLeod is a superb dentist. He treats all of his patients with the utmost competence and caring. It is without reservation whatsover that I recommend Dr. McLeod to anyone seeking high qulaity dental care. I endorse Dr. McLeod. He his an excellent dentist, top in his field and very knowledgable. I endorse this dentist. I’ve known Neil for more than 20 years and he is the consummate dentist. An intelligent man with a wonderful personality and the ability to perform excellent dentistry. I endorse this dentist. Looking for a dentist who is both excellent and fun to be with? Look no further, you just found him! Dr. McLeod’s advanced education and years of experience gives him enormous insight in treating his patients and helping others. I endorse this dentist. We send many of our “parents” to Dr. McLeod. 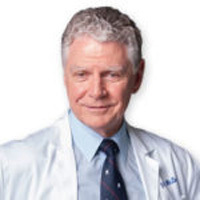 I endorse Dr. McLeod for his knowledge, expertise and sincere dedication to his profession along with his willingness to offer advice to patients so that they can make the right decisions regarding their treatment choices.